Rosenstein is Robert Mueller’s boss. Attorney General Jeff Sessions has recused himself from the Russia probe, to Trump’s great frustration, and left the duties of overseeing the investigation to Rosenstein. After Trump fired FBI Director James Comey, Rosenstein appointed Mueller as special counsel to take over the investigation. Rosenstein is acting in Sessions’ place to oversee the probe and has the power to fire Mueller — for cause — under Justice Department guidelines. Under the Justice Department’s succession plan, control of the Russia probe would be turned over to Solicitor General Noel Francisco. But Francisco wouldn’t take over as acting deputy. Sessions would likely move his chief of staff, Matthew Whitaker, into that position. He would take over Rosenstein’s responsibilities outside the Mueller probe. That would be a departure from the department’s regular succession plan, which would make Rosenstein’s chief deputy, Edward O’Callaghan, the acting deputy. As solicitor general, Francisco is the president’s top lawyer who has successfully defended controversial Trump policies, including the travel ban, before the Supreme Court. Francisco served in President George W. Bush’s administration, was a law clerk to Justice Antonin Scalia and was an attorney at the Washington law firm Jones Day, where he took on a number of conservative causes. The firm represents the Trump campaign, which could raise questions about whether he would have a conflict overseeing the Russia investigation. Francisco has recused himself from Supreme Court cases in which Jones Day represents a party. If Francisco recuses himself from the Mueller probe, Steven Engel, the head of the Justice Department’s Office of Legal Counsel, would be next in line to take over the investigation. 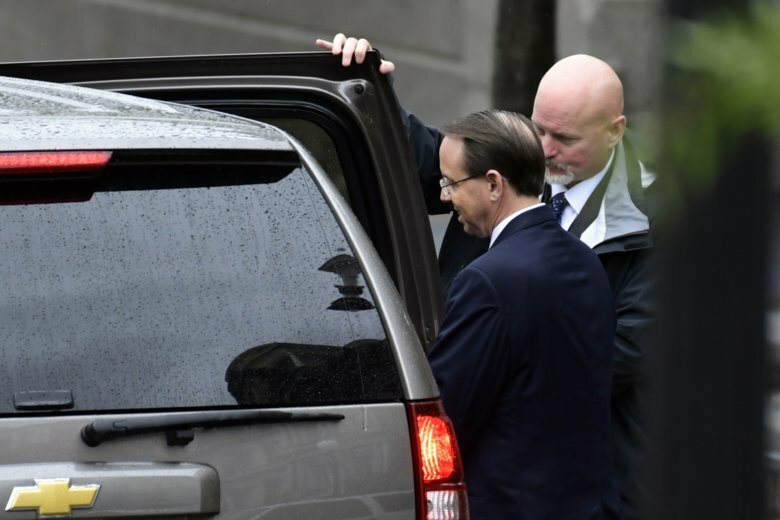 The circumstances of Rosenstein’s departure would affect Trump’s ability to pick a replacement. There is also no guarantee that Rosenstein’s successor would be willing or able to withstand the political pressures and be similarly supportive and protective of the work of Mueller’s team.